Baicoli. 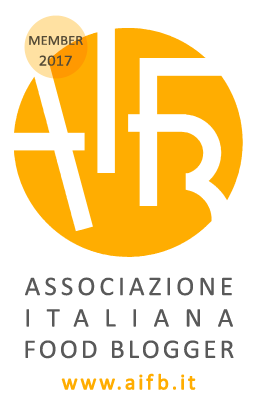 We recently joined AIFB, the Italian Association of Food Bloggers and what better way to get them to be known by you to, than just start sharing some of the Venetian recipes by some of their best members? 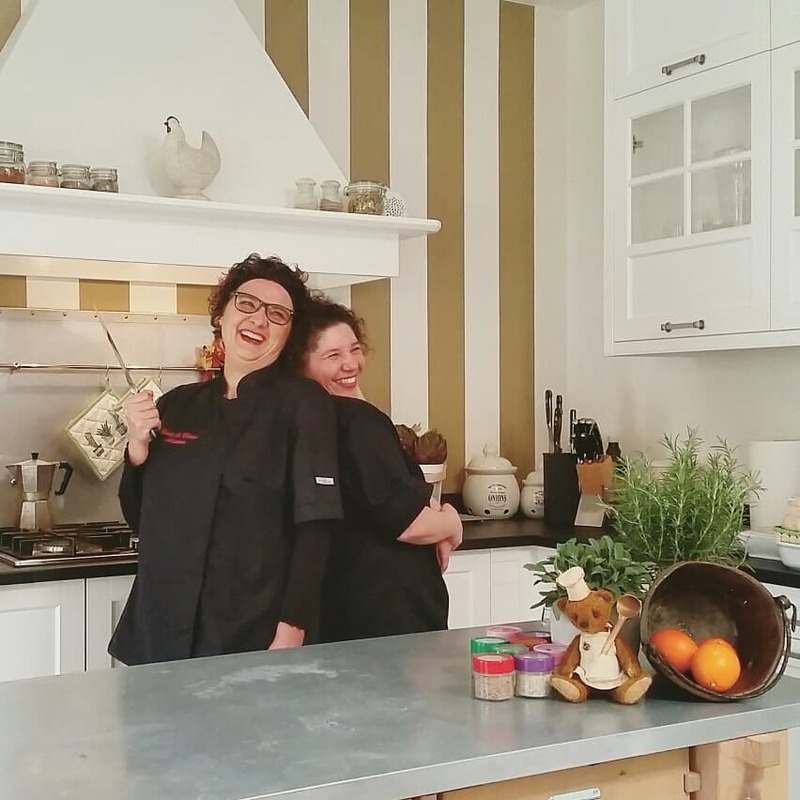 We would like to start with Paola Sartori of Prelibata, a blog that talks about a passion for cooking with typical Italian specialties, sharing local traditions and the finest flavors. Prelibata is where you can get to know about the products for which Italy is famous in the world and where to source them. 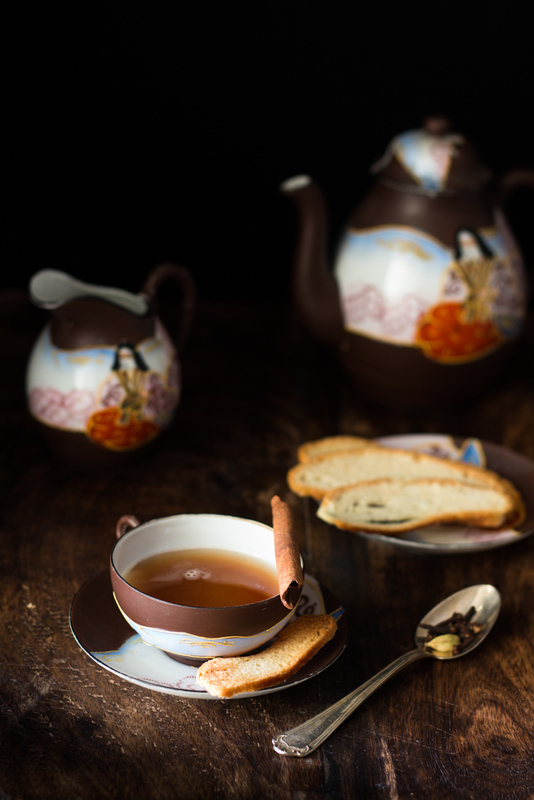 We decided to share her beautiful post and recipe for Baicoli Veneziani, a typical hard baked cookie, which is simple, perfect served with tea, hot chocolates or dipped in creams. 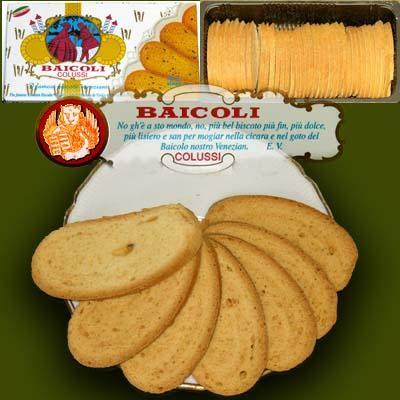 Baicoli are the “accompaniment” biscuits par excellence and now I am going to explain you why. They are wafer-thin, simple and crunchy biscuits, which is nothing special, except that we have enjoyed them for over three centuries here in Venice! 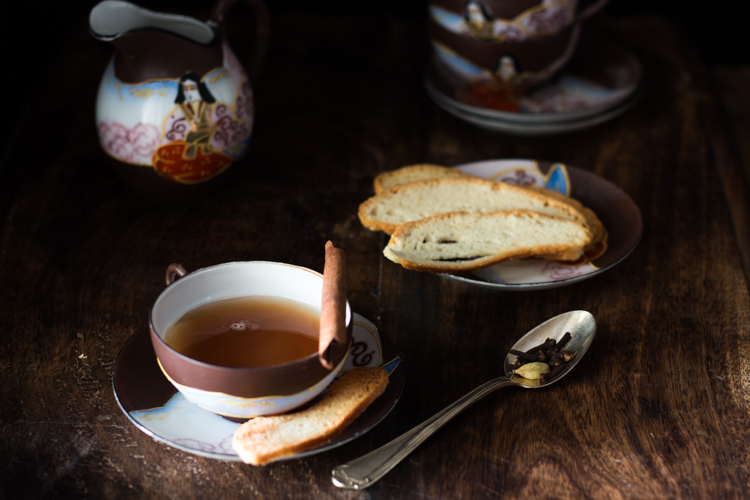 The Baicoli were made for the first time in the eighteenth century, by Mr. Colussi, who had just moved to Venice. 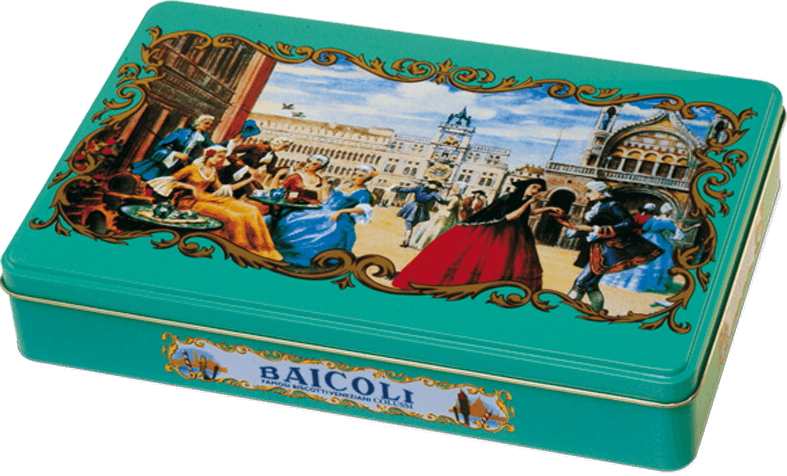 The box of Baicoli was the gift to bring if you were going to visit someone for afternoon tea.Â Never go to someoneâ€™s home empty handed (in Venetian we say â€œcon le mani in manâ€, that is just holding your own hands) … said the etiquette of knowing how to behave of my grandparents. You also brought coffee, but only to those who belonged to a lower social class, and flowers only if it was a birthday.Â If instead it was an invitation to dinner .. then the gift was a bottle of liquor or wine and assorted chocolates (or little cakes from the local patisserie, we would add as Cook In Venice). If you think about these rules of good behavior, it seems like two centuries have passed, but for Baicoli, it seems to me, time has not passed at all. Never mind a packaging that has to be renewed … the baicolo is one of the few certainties of life. The only certainties of life?Â Death and Baicoli. So, as I said this before, Mr. Colussi, around 1700s, moved to Venice to open a bakery. 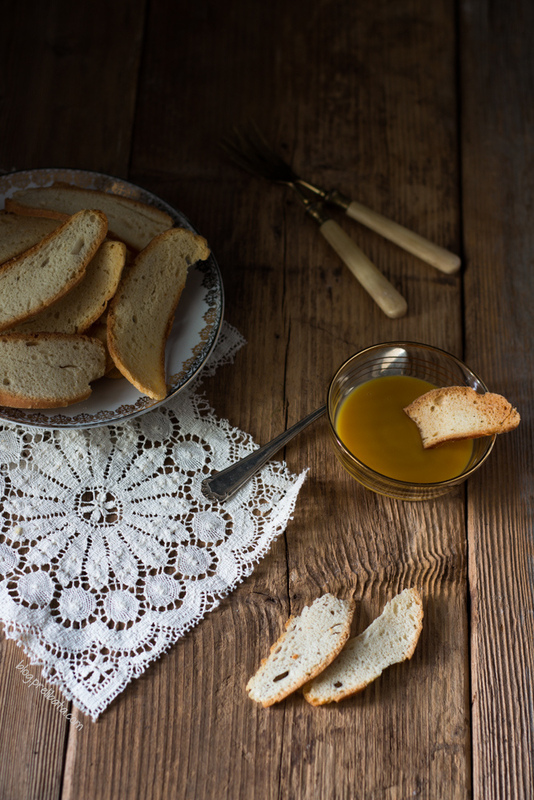 Pan biscoti were dry biscuits that were cooked under state authorization, exclusively in the Arsenale ovens, the shipyard of the Republic of the Serenissima. 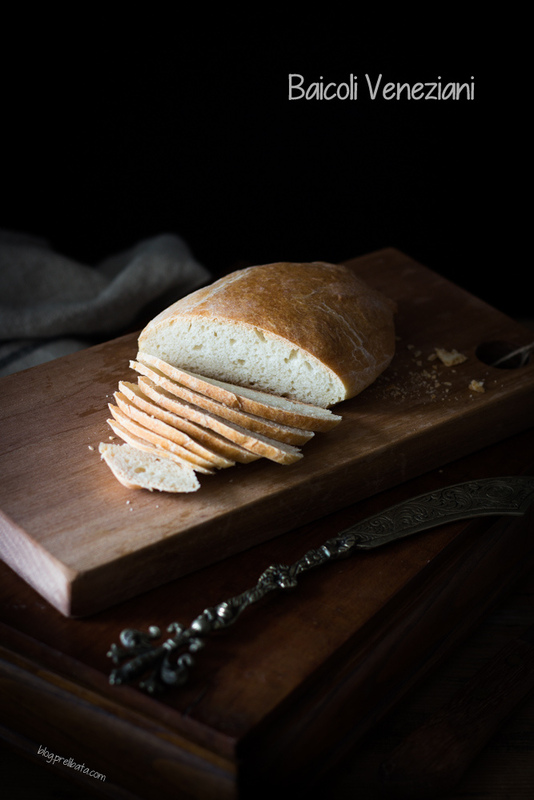 There are documents that show how famous the goodness of the biscuit bread was and especially how long they lasted without deteriorating.Â Precisely because of their durability they were suitable for long trips at sea.Â It is said that in 1821 they found in Crete some biscuits in perfect condition and since Crete had been sold to the Turks in 1669, those biscuits had to be about one hundred and fifty years old. Personally I would not have tasted them and I do not recommend keeping the Baicoli preserved for a century and a half, but I do endorse their long life. The original recipe has not been found yet, but given the simplicity of the ingredients, it is thought it did not stray too far from the original. Why are they called Baicoli? They are very thin and oval, reminding us of the shape of a small mullet, which the Venetians call precisely Baicolo.Â Baicolo comes from baioccolo, which means small coin, that is, something of little value, like the small mullets that are worth nothing compared to the adult specimens. The extraordinary thing, in my opinion, is that, in three centuries of their history, the Baicoli have not be subjected to variations, nothing, not even a small chocolate coating like their competitors, the Krumiri. Even today the Baicoli are located in the Patisseries of Venice and in the bakeries that sell the baicoli ends by weight. Put the flour in the bowl of your Kitchen Aid and give air to it starting by switching on the hook. Insert the freshly-sourdough yeast into small pieces. Slowly pour the milk or cold water, enough to bind the ingredients a little. Add the stiff egg white. Add the salt for last, when the dough is already formed, then add the butter into small pieces, a little at a time to make it absorb slowly. The consistency of the dough must be soft but compact like that of a loaf of bread. Divide the dough into 4 parts and let it rise covered in a warm place for at least 3 hours. Dissolve the yeast with a little warm milk, temperature no higher than 38 Â° Celsius. Add 70 gr of flour and make a dough without lumps that you will leave to rest for about 30 minutes. Proceed to knead with the remaining flour, following the directions of the procedure above. After letting the 4 dough rise, place them in a greased and floured baking sheet or covered with baking paper. Put in the oven already warm at 180 degrees for about 15 minutes; they must brown without making a crust. Cover them with a clean cloth and let them rest for two days. Cut them sideways in slices of about 2 mm. 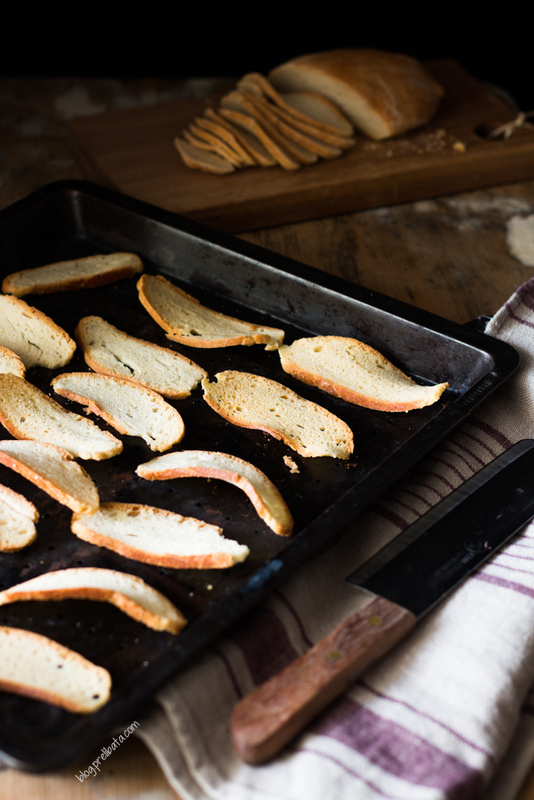 Arrange the baicoli neatly on a baking sheet and bake at 100 Â° until they are toasted. They keep well in a biscuit tin. They say that even today, the dear old Venetian ladies, adorned with earrings and covered by a shawl, head towards the Rialto market, meet for some gossip in an osteria and between a chat and another, they have the baicoli, first dipped into the forest wine. Thank you Paola for this beautiful explanation….what are you all waiting for….get baking! 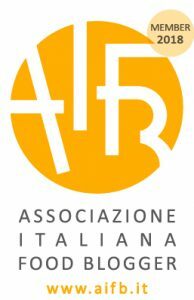 I aÂ’m a native Italian from Venice, Italy. I am a Food blogger, a Culinary guide in Venice and a Cooking instructor giving cooking classes with Cook In Venice in Mira, near Venice. I was happy to offer my little knowledge to Katie and Giancarlo Caldesi for some of the recipes in their new Cookbook â€œVenice: Recipes Lost and foundâ€. I recently appeared on Alex Polizziâ€˜s â€œSecret Italyâ€ (1st episode) together with Ada Catto, the lady I am co-writing a book with about Cicchetti (Venice version of tapas): in the episode we talked about Frittelle, Venetian Carnival cakes. I had also the pleasure of having as a guest, during one of my food tours, the famous Hollywood film actor Jonathan Tucker. I am the Creator of â€œA Photo Of Venice A Day Keeps The Doctor Awayâ€ #aphotoofveniceaday . In 2016 I won an Award with The Luxury Travel Guide for Best Unique Tour Operator of the Year for Venice and also I was included in the Lonely Planet list of Activities to do for Food and Drink in Venice, both as myself and as Cook in Venice with our cooking classes. In 2016 I also received my Certificate of Excellence from TripAdvisor for all the positive reviews. 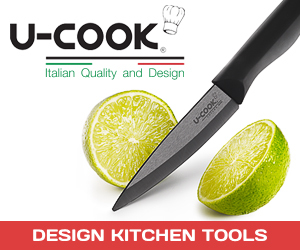 Cook in Venice's team is composed by Arianna and Monica. Arianna is an expert cook, whose culinary skills were passed down from her great-grandmother and she comes from a long tradition of farmers, cooking for large families and large gathering. Monica, who lived in England for 12 years, teaching Italian and English for over 20 years, is a food writer and a culinary guide, running Food tours of Venice as well as Cake & Chocolate tours. Our Pinterest Board – Follow Us! Still windy and grey? Still time for a lovely Pasta e Fasioi, the typical #Venice Bean soup! If you tested any of our recipes feel free to send us a photo and your comments and we will be happy to publish them, even if it wasn't a complete success! :) Nobody is perfect! Copyright (C) CookInVenice.com 2018 All Rights Reserved. No part of this website may be reproduced without Cook In Venice's express consent.